Gulbtur (Batura Valley) provides beautiful scenery to foreign and local tourists. It attracts people from all over the world to Hunza valley. Thousands of tourists travel Batura every year, because it is one of the famous and 2nd longest glaciers of the wold. A lot of peaks (more then 7000 meter) are situated in Batura range. The middle of this glacier is white and the both sides are black with materiel load. At some places small glaciers have merged with each other and formed medial moraines. It is a U shape valley. 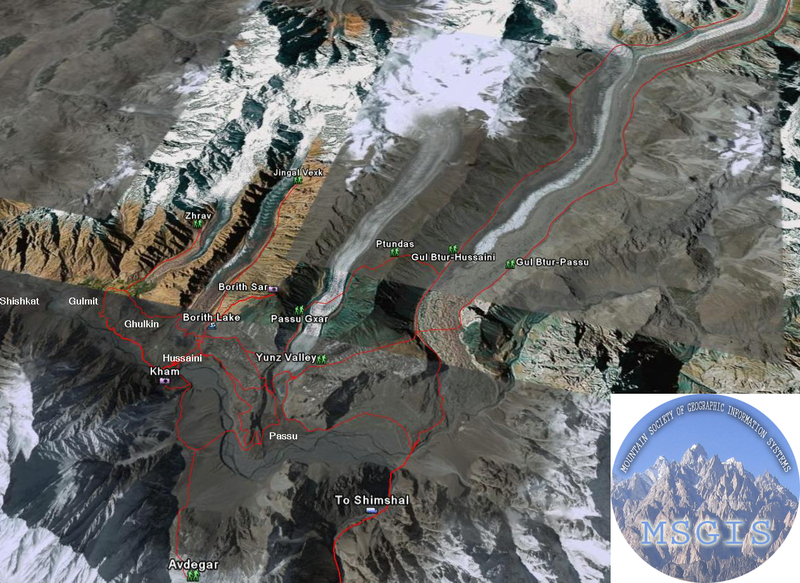 It is alignment is from northwest to southeast, situated on the northwest of the KKH and Passu village. Batura pastures are located on the both sides of Batura Glacier, in the south lies the area of Hussaini and in the north is Passu. These are seasonal settlements for four months from May to September. 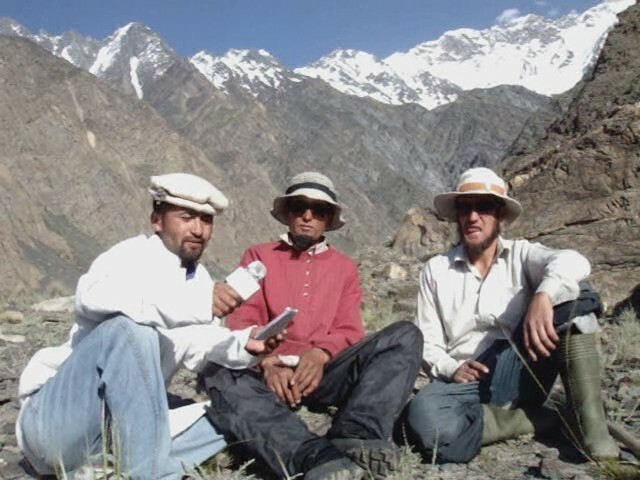 A group of young volunteers from Hussaini in Gojal Valley are working hard to share spatial informations to contribute in Disaster, Environment, conservation, geography, culture, and to entertain the community through live multimedia and stage programs in different events (Agriculture, Cultural, Religious and Political). Living in a spatial world we also contribute and share information to the people around the globe through internet. 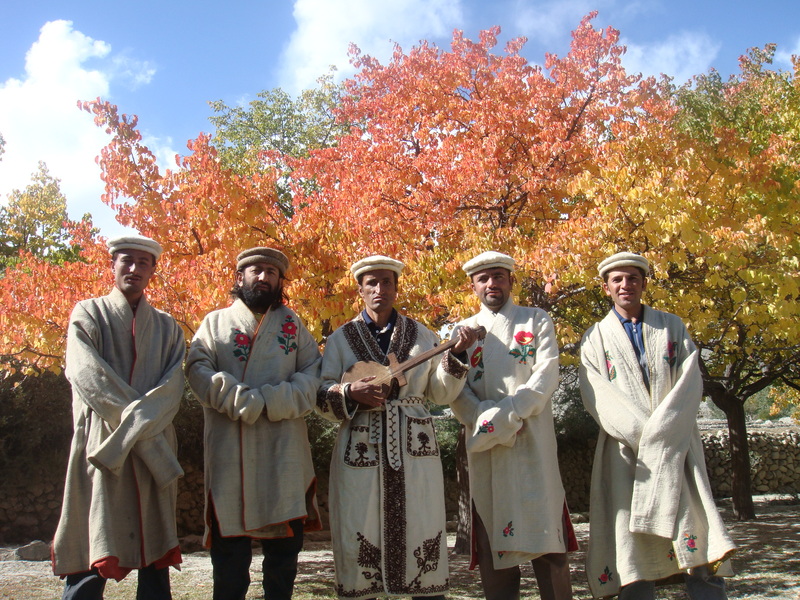 To present the Geography, environment and rich culture of Hunza Valley. To contributed to the organization’s projects. To explore and advertise the natural beauty of the Karakorum. To explore the talents of the mountain community. To share the spatial information through online volunteering service. A unique and very beautiful valley in Lower Gojal, where at a glance can see all the natural and man made phenomena’s, (glaciers, snow covered peaks, streams, glacial lakes, springs, forest, wildlife, snow avalanches, medicinal plants, huts, seasonal settlements, livestock, tracks etc). Hope you will enjoy the natural environment. A valley for the nature lovers, geographers, researchers, trackers, expedition and many more. We Welcome to all interested groups or individuals to join us from Gojal and mountain community from the spatial world. You can send us your suggestions and feedback on our email address or leave your views in the comments box. Mubaraka dear brother this is very good site… keep it up? excellent job.we really appreciate ur efforts. very nice gulbtur team keep it up..
Ali are u workng on for forgoten !!! Amazin gulbaturians….keep on exploring the nature…..
A lot of thanks for your own efforts on this blog. Kate really likes engaging in investigation and it is easy to understand why. Most people learn all regarding the compelling tactic you present very useful steps via the web blog and as well as encourage response from other ones on this situation so our simple princess is starting to learn so much. Have fun with the rest of the year. You’re conducting a first class job. Thank you for such a great effort. Are you going to continue posting more? Thank you very much for such a great effort. Are you going to continue posting more?